1. 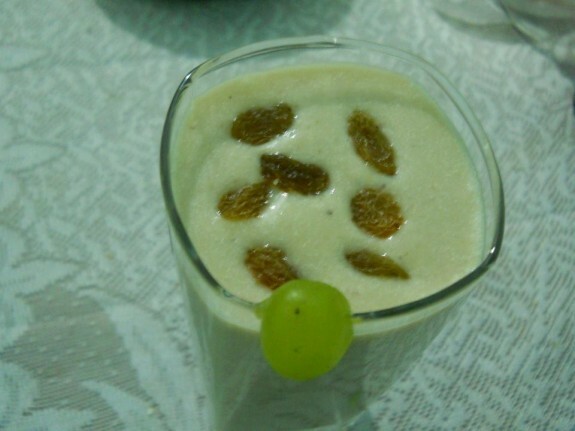 Take a blender and combine the banana, honey, chopped cashew nuts, chopped almonds, ice and milk and blend it smoothly. 2. You can also use 1-2 tbsp oats in your banana shake. And again blend it smoothly. 3. Now, add a small scoop of vanilla ice cream. If you want to get any other flavour, then you can take peanut, pineapple, mango or any other flavor instead of vanilla ice cream. 4. Now pour it into a long glass and keep it into freeze to make it colder. 5. Garnish it with raisins on the top and serve it.